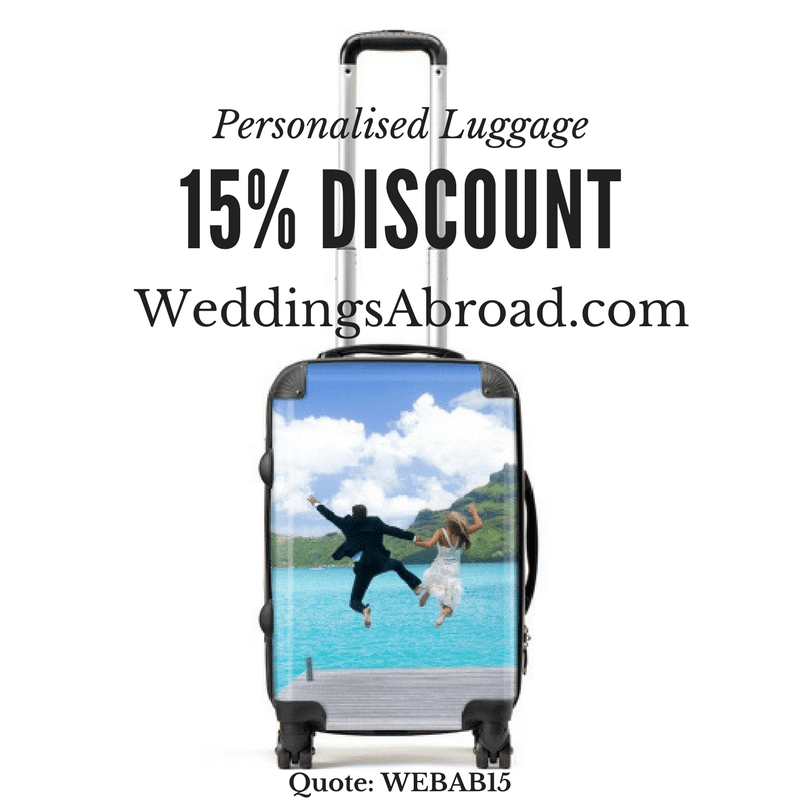 A wedding abroad should be romantic, fun and just as unique as you, now it can be with your very own personalised suitcase to help get your wedding off to a flying start before your feet even leave the ground. Whether you’re going away to get married, on business, on holiday or honeymoon there’s a range of sizes to suit every traveller, even one for the kids. The cases are fitted with four 360 degree wheels to allow the case to glide easily across any surface and in any direction. Protected with a strong polycarbonate outer for additional strength and a high gloss finish. The shell absorbs impact by flexing under heavy stress to protect items inside. For easy grip and lifting, the cases are fitted with a robust retractable pull handle, and top and side grab handles. So simple, yet so effective – go order yours today and stand out from the crowd!